We explain the issues that arise with tax expenditures and we consider how international cooperation can contribute. We present three concrete policy proposals. The first concerns the benefits from more technical cooperation on the estimation of the magnitude of tax expenditures, their economic effects, and on best practices. The second is that development aid no longer be exempted from tax in recipient countries. By paying their taxes, donors would gain credibility as partners in efforts to rationalise tax systems and improve domestic resource mobilization. The move would also undoubtedly be warmly received by aid recipients. The third calls for reinforced efforts to phase out fossil fuel subsidies, including tax exemptions. Such a move not only provides incentives for shifting to a low-carbon economy. It could also provide financial leeway for climate adaptation and mitigation as well as protection measures to mitigate the social costs of adaption. The existence of widespread tax exemptions is widely regarded as a key weakness of tax systems. Exemptions not only erode the tax base, which leads to a decrease in domestic revenues, they make tax systems more complicated and put an extra burden on tax administrations’ capacities. By favouring certain groups of tax payers, they encourage corruption and rent-seeking, increase inequality and harm taxpayers’ morale. On an international or regional level, tax exemptions may increase mismatches and double non-taxation, leading to profit shifting and a further erosion of the tax base. A World Bank study has also judged that economic zone programs in Africa, which are based on the use of tax expenditures, have generally failed in the long term (Farole 2011). At the same time, there is a balance here. Tax expenditures (especially in the case of personal income taxes) can have positive effects on distribution, social welfare, growth or in reaching environmental goals, if they are well designed to the development needs of the respective country. They even may contribute to make tax systems easier. Several international organizations, in a response to a request of the G20 Development Working Group on the use of tax expenditures in low-income countries, produced a report in 2015 that notes several of the concerns regarding their governance and whether they subsidize investments that would have happened anyway. It also considers circumstances where tax incentives are beneficial. It introduces some tools to evaluate the costs and benefits of tax expenditures. Regarding the feasibility of international coordination on tax expenditures, it is fair to conclude that, under current conditions, it is highly unlikely to advance towards a higher centralization as there is not enough clear information on this matter. Thus, a crucial first step would be to develop international standards and recommendations on the classification, quantification and perhaps even use of tax expenditures, establishing a common framework. This will not only be beneficial in terms of a possible future international cooperation, but also it would help increasing the transparency at a local level, and therefore it would be easier to evaluate its efficiency as a policy instrument. Once this phase is implemented, then it is possible to consider further coordination among countries. But international tax coordination can take different forms that vary widely given the set of countries coordinating altogether and the terms of the coordination chosen. With regards to the first issue, as a general rule, the literature suggests that countries might be better off coordinating their tax incentive structures at a regional level first, in order to mitigate negative spillovers that may arise from tax competition (IMF, OECD, UN and World Bank, 2015). Second, regarding how the international cooperation on tax expenditures can be shaped, there are many potential options with a wide range of commitment levels: From a non-binding agreement about a particular tax to common legislative framework. In this line, it is also possible to consider restricting the tax cooperation to a particular sector or global value chain, although it is necessary to address the possible outcomes in other sectors as a consequence of this coordination. Nevertheless, it is essential to consider that tax expenditures are currently used by many developing countries as a crucial policy tool and this cannot be undone easily, as the possible local consequences have to be thoroughly evaluated. Also, any international cooperation agreement that brings together developing and developed countries should consider the asymmetries among them and the outcome should be a structure that benefits all of them at a strategic level. The tax expenditures debate should be about the pros and cons of a particular tool and not about the goals. Fiscal competition, public incentives can and do adopt many different shapes and vehicles and offering clear guidelines for their design, evaluation and transparency could be a fruitful field for international tax cooperation. An accurate measurement of tax expenditure quantitative effects on tax revenue can help through technical cooperation, domestic skills improvement and international standard settings. Tax expenditure transparency is essential to close the virtuous circle, promoting law requirement for its approval, clear methodology explanations, binding estimation and publication calendars and the divulgation of international databases, among other possible actions. The G20 should support new and ongoing cooperation efforts and lead by establishing a regular G20 policy dialogue on tax expenditures. Technical cooperation can take the form of handbooks, workshops, evaluation models, and the like. It should have a focus on the creation, compilation and publication of reliable tax expenditure data. Analysis should cover economic, social and environmental aspects as well as regional and international spillover effects of tax expenditures. It would be positive to develop international backup guidelines with an emphasis on differences with other policy tools, such as direct expenditures, more specifically controlled under annual budgeting procedures. The G20 could support current initiatives fostering this cooperation, coordinating and encouraging global partners (such as the OECD, the IMF, and the UN) and regional specialist organizations (such as ATAF, CIAT, and IOTA) and promote technical cooperation. The next step would be systematic efficiency and effectiveness evaluation, using the most advanced techniques and following on initial work done in IMF, OECD, UN and World Bank. 2015. Finally, technical cooperation could include a standardization of the reporting of tax expenditures. Several countries already include information about their tax expenditures either in the annual budget or in periodic reports. In Germany, for example, the top 20 tax expenditures or subsidies are listed in materials that accompany the annual budget. The Ministry of Finance also produces a report that lists every expenditure, its estimated cost, and its lifespan. In India, there is an Annex to the annual budget that reports the estimated revenue impact of tax incentives. G20 member countries should stop requesting tax exemptions for their development cooperation spending in recipient countries and should encourage all other providers of development cooperation to do the same, in cooperation with the OECD DAC. The existence of widespread tax exemptions is widely regarded as a key weakness of tax systems in developing countries. By paying their taxes, donors would gain credibility as partners in efforts to rationalise tax systems and improve domestic resource mobilization. The move would also undoubtedly be warmly received by aid recipients. Processing donors’ tax exemption claims imposes considerable burdens on tax administrations that lack capacity. The opportunity cost, in terms of other taxes not collected, is high. Widespread exemptions also harm ‘tax morale’ – people are generally less willing to pay taxes themselves if they observe others being exempted. In countries with small formal economies where donor-funded activities make up a significant part of the tax base, the incentives to improve tax policy and administration may also be weakened. Budget support is widely regarded as the most effective form of development assistance, but is politically difficult for donors who do not want to be at risk of directly funding wasteful spending or exposure to corruption scandals. As a result, budget support as a share of aid has declined, despite continuing commitments at the Global Partnership for Effective Development to deliver more aid in this fashion. By simply paying their taxes like everybody else, donors would automatically support the central government budget, without being exposed to the political risks of direct budget support. This should be an easy win, politically. Tax has moved to the top of the international development cooperation agenda, and increasing tax to GDP ratios in developing countries is acknowledged as crucial to the success of the SDGs. The most recent and prominent manifestation of the focus on taxation by G20 countries being the Addis Tax Initiative, signed by 45 countries and regional organizations, with the aim of “catalysing significant increases in domestic revenue and to improve the transparency, fairness, effectiveness and efficiency of tax systems in partner countries”. Tax avoidance is also high on the political agenda in many countries, and of concern to the public. Reforming an outdated exemption system, so that donors pay their fair dues in developing countries, would be widely regarded as the right thing to do, and should generate positive coverage. In terms of the real value of aid flows, the move would be neutral from the perspective of recipient countries: the increase in tax receipts would be offset by the decrease in the real value of aid flows. The cost to donor countries would be a reduction in the amount of money, after tax, to fund the projects they wish to support. This is presumably why removing exemptions has long been resisted by bilateral donors, despite being recommended by The International Tax Dialogue (representing organisations such as the IMF, the OECD and the World Bank) and the UN Committee of Tax Experts. 1 Most of the G20 members who are major providers of Official Development Assistance are signatories of the Addis Tax Initiative. 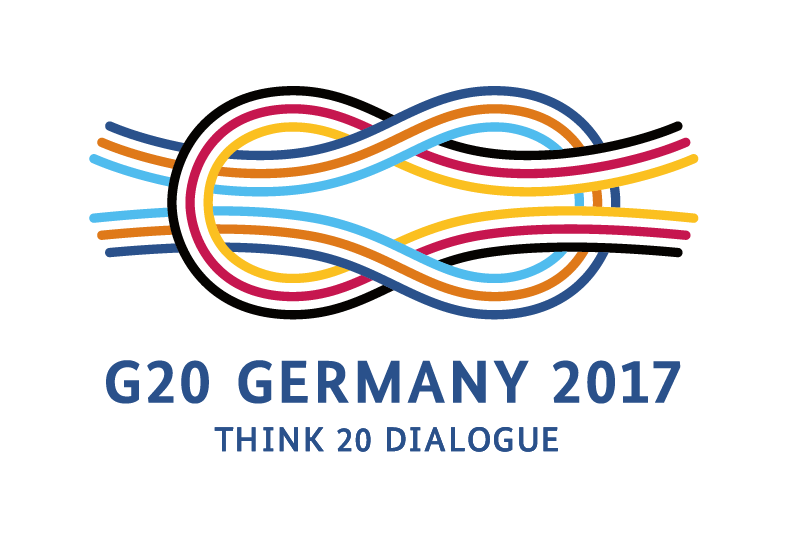 G20 members who have not signed are: Argentina, Brazil, China, India, Indonesia, Japan, Mexico, Russia, Saudi Arabia, South Africa and Turkey. G20 member countries should reinforce efforts in implementing the G20 commitment to phase out inefficient fossil fuel subsidies, including tax exemptions. Climate change is one of the most urgent and critical challenges today, hurting poor countries and vulnerable populations most. With the Paris Climate Agreement and the Sustainable Development Goals, the international community has already set collectively agreed targets to combat climate change. The G20 have committed themselves to “phase out and rationalize over the medium term inefficient fossil fuel subsidies while providing targeted support for the poorest” in their 2009 Pittsburgh Leaders’ Statement. Since then, they regularly reaffirmed this commitment but progress is still slow. Renewed efforts are necessary to put the commitment into practice. Phasing out fossil fuel subsidies, including tax expenditures that relate to fossil fuels, do not only provide incentives for shifting to a low-carbon economy. It could also provide financial leeway for climate adaptation and mitigation as well as protection measures to mitigate the social costs of adaption. The United Nations Environmental Program estimates the annual financing gap for climate adaptation in the range of USD 140 to 300 billion by 2030, and between USD 280 billion and USD 500 billion by 2050. At the same time, governments still spend high amounts on fossil fuel subsidies, including tax exemptions and tax reduction of excise and value-added taxes (VATs), special tax regimes for extractive fossil fuel industries or other, more hidden, forms of support. Tax expenditures in excise taxes of EU member states amounted to EUR 28 billion per year (EC 2014). According to the OECD Inventory of Support Measures for Fossil Fuels 2015, the 34 OECD countries and 6 key emerging G20 economies (Brazil, China, India, Indonesia, Russia and South Africa) spent USD 160 to 200 billion annually on fossil fuel subsidies between 2010 and 2014 (excl. tax exemptions for international aviation and international maritime transport). Reforms are therefore still needed. Past experiences have shown that phasing-out strategies have to be carefully planned, phased and communicated to the public. Although fossil fuel subsidies tend to have regressive effects, poor people can be negatively effected more, for example by higher prices for transport and energy. Distributional implications have therefore to be taken into account, and reforms should be accompanied by social protection measures. CIAT (Inter-American Center of Tax Administrations), 2014, Tax Expenditures in Latin-America, CIAT Working Paper 2-2014. De Mooij, Ruud, 2017, “Getting it Right.” Finance & Development, 54(1). Farole, Thomas. 2011. Special Economic Zones in Africa: Comparing Performance and Learning from Global Experiences. World Bank. Federal Ministry of Finance. 2015. 25th Subsidy Report of the Federal Government. IMF, OECD, UN and World Bank. 2015. Options for Low Income Countries’ Effective and Efficient Use of Tax Incentives for Investment. Ministry of Finance, Government of India. Statement of Revenue Impact of Tax Incentives under the Central Tax System: Financial Years 2015-16 and 2016-17. OECD. 2015. OECD Companion to the Inventory of Support Measures for Fossil Fuels 2015. EC. 2014. Enhancing comparability of data on estimated budgetary support and tax expenditures for fossil fuels. For the first policy recommendation, implementation would require work on the technical aspects of tax expenditures. This would include workshops. A goal of a common definition of a “tax expenditure” would be a clear target. For the second policy recommendation, the change in tax status should be implemented in domestic legislation. For the third recommendation, national reform strategies need to be developed and implemented. G20 report 2011. Supporting the Development of More Effective Tax Systems. A Report to the G-20 Development Working Group by the IMF, OECD, UN and World Bank. In this section, we illustrate the use of tax expenditures in one country, namely in China. After almost 30 years isolated from the world economy, China opened up its economy to the outside world and reforming its traditionally planning economic system in 1978. The key linkage of Chinese economy and world economy is the export-oriented inward foreign direct investment (FDI), first in the four special economic zones in Guangdong and Fujian provinces, then expending along the coastal regions of China, and gradually penetrating into inland China also well. By the end of 1990s, the entire country got deeply involved into the East Asian production network in specific, and global production network in general. Thanks to the inflow of this type FDI, from the early 1990, China became the regional and global manufacturing base. Since then, each year, China imported a lot of components and parts from Hong Kong, Japan, Taiwan, South Korea and Singapore, and with trade deficit with those economies altogether; meanwhile, export the final goods to USA, EU and Japanese markets, and with trade surplus with those countries. China became something like a bridge between those two groups of economies, and a hub of world manufacturing. The basic policy behind the surge of labour-intensive, export-oriented foreign direct investment in China is the tax incentives, that is, the policy to exempt the first two years of profit tax of foreign-funded firms if they make profit, and in the next three year following thess first two years the profit tax is charged at half the rate. Moreover, the profit tax rate for foreign firms were also lower than the indigenous firms during 1978- 2010 period. In this time period, for a whole-foreign funded firm the profit tax rate was 15%, for joint ventures 17%, and for fully indigenous firms 33%. Of course, the attractiveness of China for inward FDI is not mainly the tax incentives. According to the theory of FDI and MNEs, other factors such as Chinese economic growth, the geographical locations, the timing of opening-up strategy and so on are more fundamental. But tax incentives played a role. After China' WTO accession, the tax incentives were gradually ended, and from Dec.1, 2011, all firms in China have same profit tax, 25%. Besides profit tax, more importantly, China also provides policy support to facilitate the business operation of foreign funded firms. One of them is the exempting tariff for the components and parts imported that are used for processing export goods. During the past three decades, this type of import and export (in China, we call it processing trade) is booming. 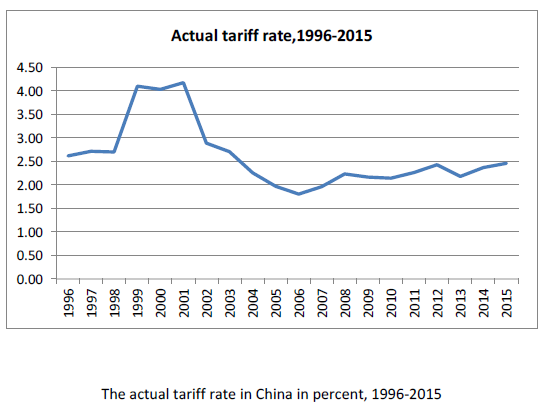 In the 1990s and 2000s, the share of this type of import and export in total China trade was around 50-60% As Table 1 indicates, this means that the actual average tariff rate in China is very low, even if the normal simple tariff rate is around 10%. References 1. Inter-American Center of Tax Administrations (CIAT). 2011. Handbook of Best Practices on Tax Expenditure Measurement. Available at http://www.ciat.org/index.php/en/products-andservices/ publications/manuals/1704-manual-de-buenas-practicas-en-la-medicion-de-losgastos- tributarios.html 2. Lakin, Jason. 2012. “Uncovering and Analysing Tax Expenditures in Africa.” Africa Tax Spotlight. Volume 3. Available at http://www.internationalbudget.org/publications/africa-taxspotlight- newsletter/ 3. Organisation for Economic Co-operation and Development. 2013. Draft Principles to Enhance the Transparency and Governance of Tax Incentives for Investment in Developing Countries. 4. Tax Justice Network—Africa. 2016. Still Racing Towards the Bottom? Corporate Tax Incentives in East Africa. Available at http://www.taxjusticeafrica.net/wpcontent/ uploads/2016/06/Corporate-tax-incentives-in-east-africa-report.pdf .